After almost ten days, Apple finally managed to publish my book. You can find it on iTunes! And there was much rejoicing. 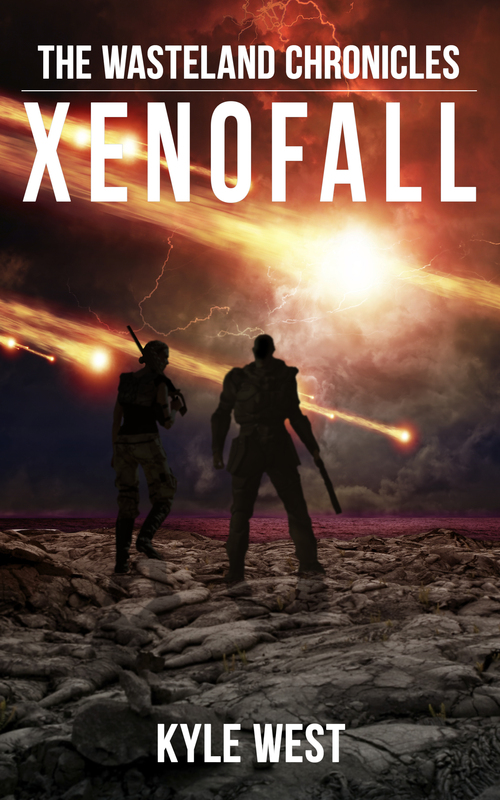 In other news, the cover for Xenofall is done. It looks amazing. I’m holding off on posting it until tomorrow, though. My eyes popped when I saw it for the first time. I’m almost 40,000 words into the first draft and hope to take another good chunk out of it tomorrow. Well, that’s all I had to say, really. For those of you holding out for iTunes, it’s out now. 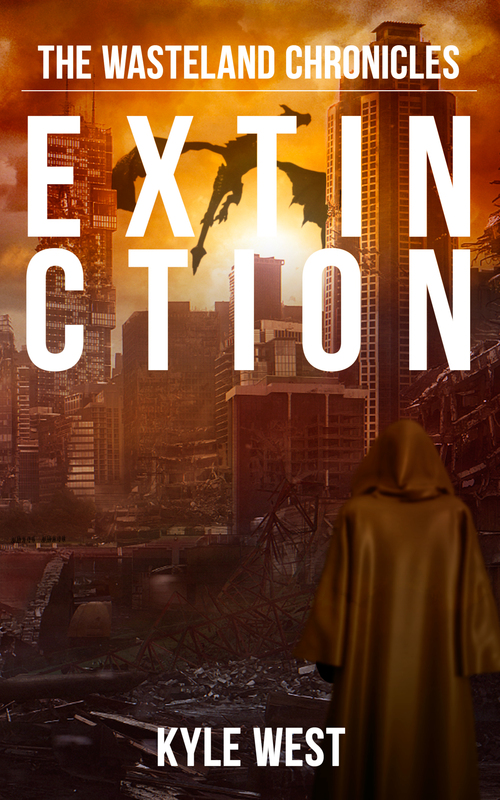 Extinction is now available on Kindle! it will take some time for it to appear on other sites, but for now, you Kindlers can go ahead and find it here. Note: Barnes & Noble is experiencing technical difficulties for authors trying to upload their books. It maybe be a while before it shows up there. If you can’t wait that long, you can get the Kindle app and read it that way. In what may be one of the greatest headstarts in the history of writerdom, I’m already 15,000 words into Xenofall. And the good news doesn’t end there – I expect Extinction to be online and available for download at some point in the next few days. It’s just going through a proofreader and once I have it back, it’s publish time! This one was pretty fun to write. It’s action almost all the way throughout, and still leaves plenty of story to be worked out in the next book. What can I say, I can’t wait to have it out. I started working on about three months ago, and finally, Extinction is off to be copy-edited. I just feel incredibly exhausted. It’s hard to imagine where I’d be if hadn’t started writing full-time last Monday. Probably somewhere on the third draft, still. Thankfully, the book should come out on time. I’m hoping to have it out by the middle of the month. My first week of writing has been great. I got through my third and fourth drafts, and feel comfortable releasing the book once it’s been proofed. It’s been a very crazy week, writing-wise. BookBub featured my book last Tuesday, meaning that Apocalypse has been downloaded about 16,000 times so far this month (crazy). It’s great that more readers are finding the series, and it’s a great backdrop to release Extinction to. For my first week of writing, I couldn’t be happier with how things are going! It’s hard to believe there’s only one book left in The Wasteland Chronicles. I’m about to come full circle, in a sense. By the time the final book, Xenofall, is out, I will have probably been working on the series for a full two years. Two years, seven books. I couldn’t have imagined this would be my life back in 2012. I thought of what I believe to be the perfect ending for the series, that’s fitting for everything that’s happened so far. 8:00 – Wake up, make coffee/cereal, eat and check email, sales, Kboards. 8:30-12:30 – Writing, with short breaks here and there. Right now I’m editing Extinction, and priority numero uno is making a decent enough draft to send to the editor. Over the last three days I’ve gotten (mostly) through my third draft. I plan on being done with the fourth draft by Saturday night. If I were still working, and I’d be much further behind by now. 12:30-2:30 – Lunch/Reading/Running. My chance to just get out for a while and not think about writing. Might do errands (got a haircut today, por ejemplo). Might extend this to three or so, depending. 2:30-5:00 Afternoon session. More writing/editing, or things related to publishing my books. 5:00 – I’m a free man. Do whatever, work some more if I want. For the past three days, I have been editing in the evenings because I want to get Extinction out ASAP. Evening session might run 6:30-8:30, at which point I’ll wind down for the evening. I kind of like this schedule so far. Of course, it’s not rigid, more of a general outline. It wouldn’t really be confined to five days a week. It’s more of like the default day, Sunday through Saturday. Yes, I plan on working the weekends, too. I can’t imagine going a day without writing, mainly because I know how much work I have to do to build my catalogue of books. For my first three days of writing, though, I’d say I’ve done pretty well. I’ve gotten distracted sometimes, but I’m pretty happy with doing a whole draft in pretty much three days (especially considering how rough some parts were). My fourth passing should go much more smoothly. What I like most about writing full-time is just the freedom. It’s incredibly amazing to be able to do the things you want and to do what you think is best, trying to find that perfect balance. It might not be for everyone, but I’m pretty disciplined. One thing I’m noticing as well is that I just have a ton more energy. No more waking up at 5, huzzah! I’m waking up at 7:30-8 now and can honestly say it’s amazing. I’m getting so much more done. I just hope the good times continue. Another thing I’ve noticed is it’s just really quiet in my apartment complex during the day. I love it! I feel like I have the whole place to myself. I’m actually going to be staying where I currently am for another six months. And I’m definitely loving the warmer weather. Whelp, that’s about it for now. I just love having all the time in the world to do what I love. I haven’t felt this good in a long time. I’ll literally smile for no damn reason and think: I’m doing it. I’m really doing it. All the hard work and sleeplessness has been worth it. I truly feel like I’m living the dream.